I have been making my own bread for more years than I can remember. Even before bread machines came out! I was given a KitchenAid for a shower present oh those many years ago and it had a dough hook and that is what started me on the road to homemade breads. I tried the machine when they arrived on the scene but I didn’t like the hole in the bottom of the bread and making one loaf at a time seemed pointless. I much prefer making several and always having a loaf in the freezer when I need it. Bread thaws very quickly and I then always have a nice, fresh loaf. I don’t remember when I discovered the Challah recipe but I’m so glad I did. 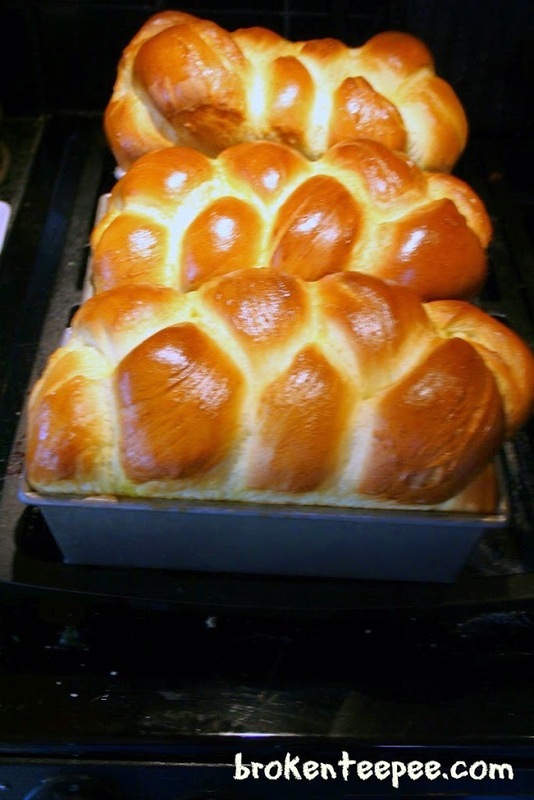 It’s from my favorite bread cookbook, Secrets of a Jewish Baker. 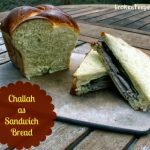 It makes the most amazing sandwich bread. 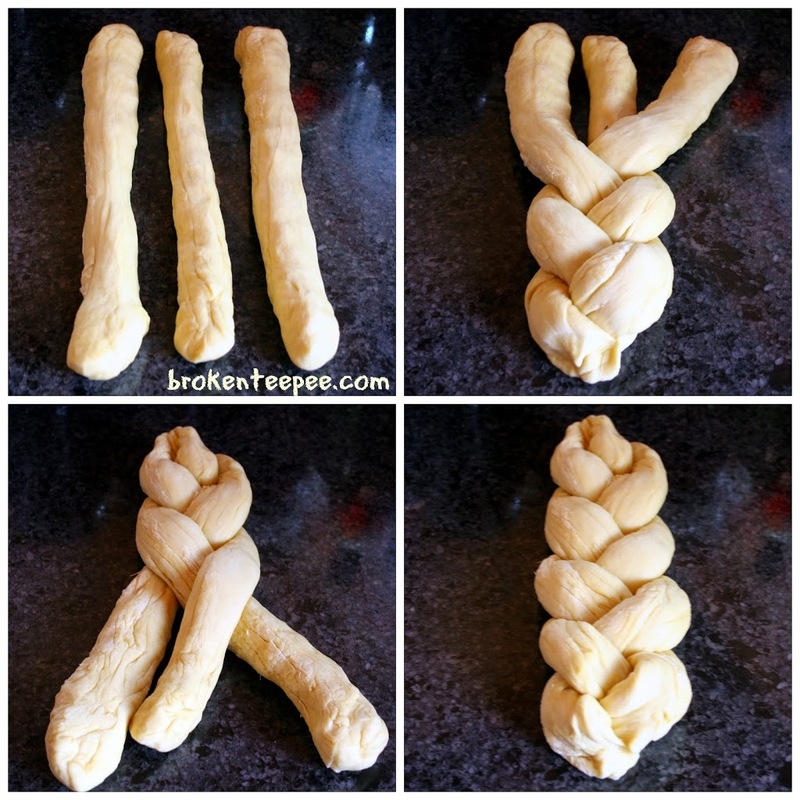 I don’t make it in the traditional way – a braided loaf – but I do still braid it. I just pop it into a loaf pan so that I have bread that is perfect for slicing. This bread also makes the most heavenly French toast when it gets dried out. In a stand mixer with the paddle attached add the warm water and the yeast. Let it sit for a minute or so until the mixture is a bit foamy. Add the egg, egg yolks, olive oil and sugar. Mix well. Add 6 cups of the flour, the salt and the ice water. Mix until it just comes together and pulls away from the sides of the bowl. If the dough seems soft add the remaining flour a bit at a time. 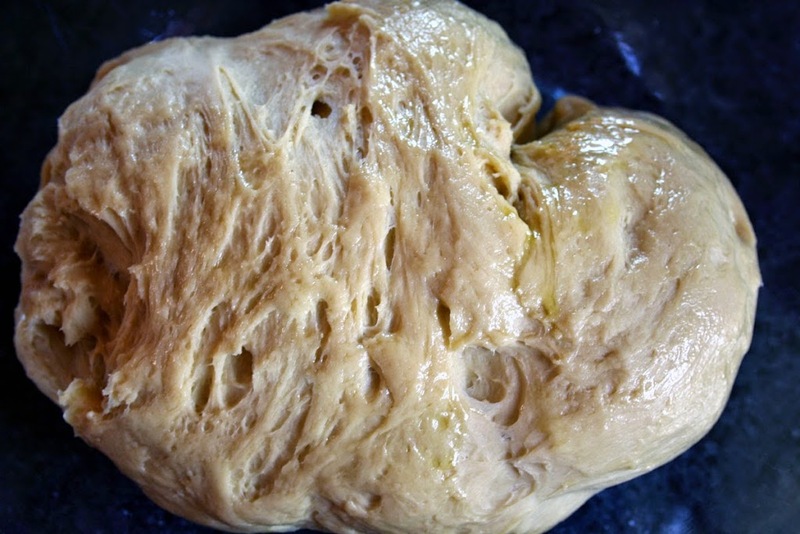 This should not be a stiff dough..
Insert the dough hook and knead for 15 minutes. Remove the dough to an oiled bowl, cover and let rise in a warm place free from draft until doubled in bulk – an hour to an hour and a half depending on conditions. In the summer my dough rises in 45 minutes in the winter it takes the hour and a half. Remove the dough from the bowl to a clean counter. My counters allow me to work without flour. If you need to sprinkle a little flour. Punch the dough down and let it rest for 10 minutes. Grease three 10″ loaf pans and have them ready. Cut the down in thirds and cut each third into thirds again. Take three pieces at a time and roll them into 12″ strips. To braid the strips start in the middle and braid to the bottom. Pinch the three pieces together. Carefully flip the braid over and braid the rest to the end. Pinch the pieces together. Repeat these steps with the other two sets of three. 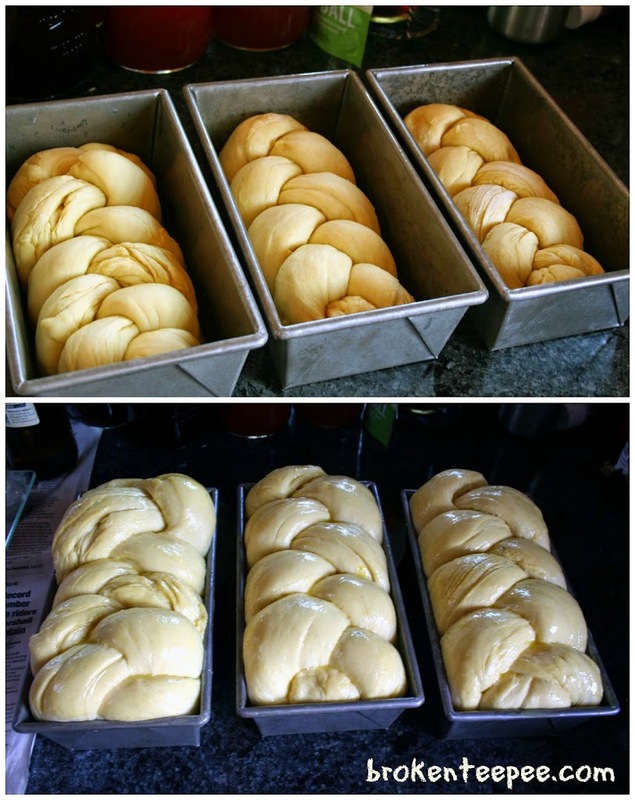 Place the braids in the greased loaf pans, cover and let rise in a warm place free from draft for an hour to an hour and a half. I get similar rising results as with the first rise. About 15 minutes before the bread is done rising preheat your oven to 350° so it is hot in time for baking. Prepare the egg wash by mixing the egg with the 1 TBS of water – whisk with a fork so it is well combined. Just before baking use a pastry brush to add the egg wash to the risen dough. Bake for about 30 minutes or until the bread is a lovely golden brown. You can remove the loaves from the pan for the last five minutes if you want to harden the outside crust. Sometimes I do this, sometimes I don’t. Remove the bread from the oven and cool for about 10 minutes and then take them out of the pans if you haven’t done so already. As I mentioned above this bread freezes beautifully so once it is cooled I generally pop it into a bread bag and into the freezer. I will keep one loaf out and it doesn’t last long! It’s great for sandwiches and oh, the toast! It makes fantastic toast. I had some leftover pork from when the hubby’s friend came to visit so I made myself a delicious pork, pickle and lettuce sandwich. Mmmmm. 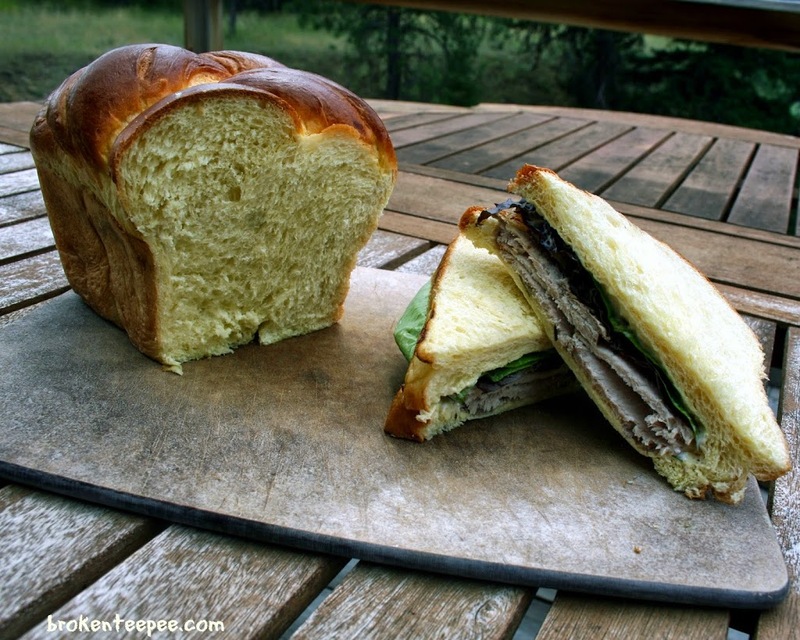 The fresh bread, the garden lettuce and the pork which is a treat around here in the world of goat and venison made for a heavenly lunch. 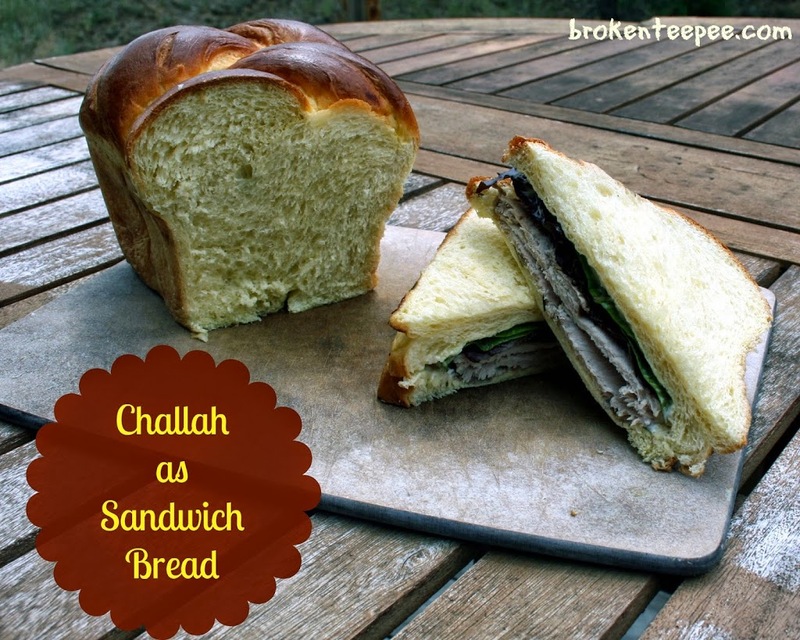 I love Challah for its rich eggy taste and to me it’s the perfect bread for a sandwich. Insert the dough hook and knead for 15 minutes. 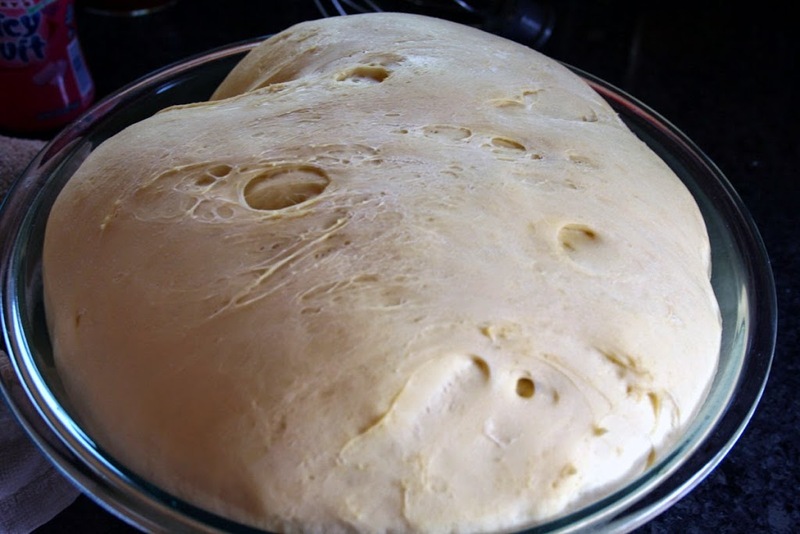 Remove the dough to an oiled bowl, cover and let rise in a warm place free from draft until doubled in bulk – an hour to an hour and a half depending on conditions. In the summer my dough rises in 45 minutes in the winter it takes the hour and a half. Remove the dough from the bowl to a clean counter. My counters allow me to work without flour. If you need to sprinkle a little flour. Punch the dough down and let it rest for 10 minutes. Just before baking use a pastry brush to add the egg wash to the risen dough. Bake for about 30 minutes or until the bread is a lovely golden brown. You can remove the loaves from the pan for the last five minutes if you want to harden the outside crust. Sometimes I do this, sometimes I don’t. Remove the bread from the oven and cool for about 10 minutes and then take them out of the pans if you haven’t done so already.